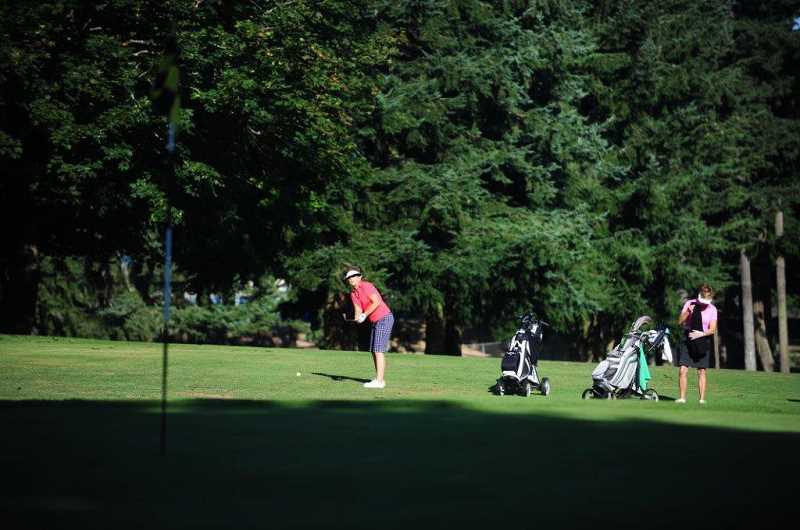 The Lake Oswego Ladies Golf Club is preparing for a new season of play and invites all women interested in joining the group to attend a breakfast to be held March 28 at 9 a.m. at Lake Oswego Golf Course, 17525 Stafford Road in Lake Oswego. The group plays every Wednesday with tee times from daylight to 10 a.m. Golfers can chose to play nine or 18-holes, but those wishing to establish a handicap must play five 18-holes games on the course. "This allows the better players and the newer players to have an even playing field when scoring in our games," said co-captain Barb Weamer. "This makes it very fair for our net games where there are prizes and trophies awarded." Weamer said the season begins April 4 and will continue through October. Players can choose to walk or rent riding carts. "We hold two charity events in the year, one for OHSU cancer research and screening and one with the local fire department to collect gifts during the holiday time in early December," Weamer said. "We are a very welcoming group and many have been more than 15 years with the club." All ages and skill levels are encouraged to join the group. Players come from Tigard, Tualatin, Portland, Wilsonville, West Linn, Lake Oswego and Oregon City. The men's group will also begin play soon. Call Ray Clang at 503-657-8909. For general information about the Lake Oswego Golf Course call Tom Mueller at 503-636-8228.